THE QUESTIONS WE HEAR MOST OFTEN ARE LISTED BELOW. CAN I LEARN SPANISH WHILE I'M THERE? SPANISH LANGUAGE TRAVELS offers courses right in Puerto Viejo. For prices, schedules and more information, please click below. When you book thru any of the links on this page, El Puente will make a commission to help support its programs. HOW DO I GET TO PUERTO VIEJO FROM SAN JOSE AND THE CENTRAL VALLEY AREA? Public Buses are scheduled daily from San Jose to Puerto Viejo. Shared and Private Shuttles are also available. For bus schedules and shuttle information, please follow the link below. WHERE CAN I STAY WHILE IN PUERTO VIEJO? WHAT CAN I DO WHEN I'M NOT VOLUNTEERING AT EL PUENTE? There's so much to do in Talamanca, make sure you come with enough time! For the adventurer there are canopy tours, white water rafting, surfing, and more. With over 6 world-class beaches in a 10 km area there is no shortage of relaxation opportunities. The entire area is accessible by touring bike and there are many places to rent a bicycle. And when the sun sets, a variety of restaurants and lively music venues abound. Yoga and meditation studios are located through the area for those who are coming for a quieter expereince. WHAT ABOUT MONEY? CAN I USE MY ATM CARD THERE? There are two ATMs in Puerto Viejo. One at Banco de Costa Rica, another at Banco Nacional. Be sure to let your bank know you'll be traveling in Costa Rica to avoid any problems using your bank card. Find out more about Costa Rican Currency and exchange rates by clicking the button below. WHAT ABOUT HEALTH & SAFETY? IS THERE ANYTHING I SHOULD WORRY ABOUT? Like any other place in the world, there are things you can do--or not do--that will affect your safety. On the whole, Puerto Viejo is a wonderful, friendly and safe place to visit. 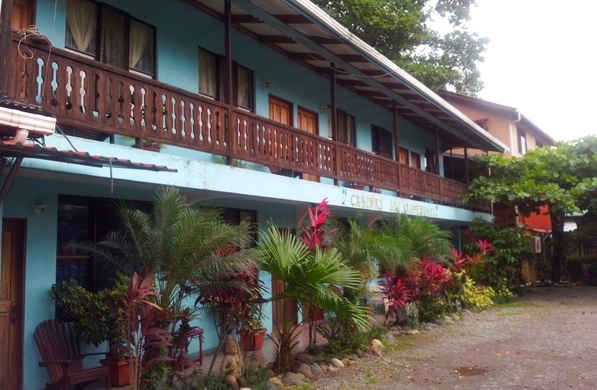 Puerto Viejo has one medical clinic and at least two private doctor clinics. There is also a public emergency clinic located in Hone Creek just 5km away. Crime happens everywhere in the world. There are 2 police stations in Puerto Viejo. To avoid becoming a victim of crime, do not walk alone at night in unlit areas and do not bring valuables to the beach or leave them unattended. Take saftey precautions while swimming in the ocean and be aware of ocean currents. MORE QUESTIONS? PLEASE GET IN TOUCH AND WE'LL DO OUR BEST TO DIRECT YOU.